Easy Stress-Free Mornings for Parents! Visual routines for kids of all ages! Special: 20% off “#1 Back To School Must Have” Easy Daysies Big Bundle at http://www.easydaysies.com with coupon code Mompact20 from August 10-15, 2015. Easy stress-free mornings happen with Easy Daysies! The Award Winning Easy Daysies® Magnetic Daily Schedules helps kids become more co-operative, confident and more independent by showing the “shape of the day”. Use these great magnets for a single routine, like bed time or after school routine, or plan the whole day! This mom/teacher-created product, made with 70% recycled materials, help children feel safe & confident knowing what is happening next! Wonderful for helping kids of any age, and children with special needs, deal with event transition or anxiety. Easy Daysies Ltd. is a company founded by a mom of three and school teacher. Easy Daysies’ products are created by parent demand to help kids become more co-operative and independent with their day! Our goal is to help kids have easier days, and that is how it got it’s name… Easy Daysies! Did you know that Easy Daysies was fought over by all five investors on a savvy entrepreneur investor show called Dragons’ Den? Easy Daysues was also the #1 Back to School Must Have and Educational Product of the Year! Have easy, stress-free mornings with this #1 Back To School Must Have! 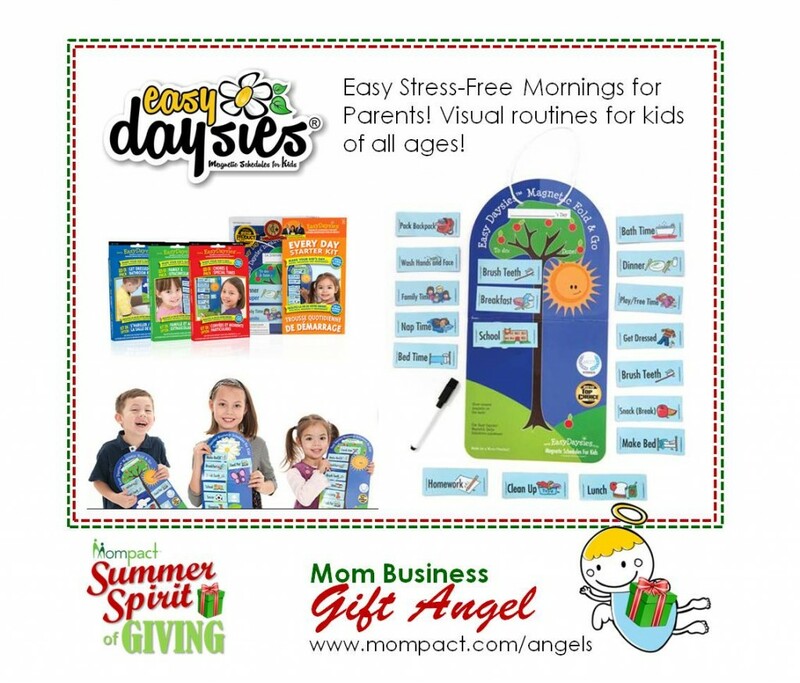 Get 20% off www.EasyDaysies.com Daily Visual Schedules for Kids! Easy, stress-free mornings with this #1 Back To School Must Have! Mom/Teacher-Invented www.EasyDaysies.com Daily Visual Schedules 4 Kids!